A post dedicated to the Marketing Strategy and its current importance for the growth and success of Professionals, Start Up, Micro and Small Enterprises. A post inspired by everyday experiences related to my activities Consulting in Marketing. Activities that appeal, in particular, precisely Professionals, Micro and Small Enterprises. An introductory post, given the complexity of the matter, in which emerge at least elements well defined on the absolute necessity and the vital importance of establishing an accurate Marketing Strategy for the success of your business. Therefore by entering into the merits, I guess you already clear that to compete and win in the current scenario, you should have a distinct competitive advantage over your competitors. This means that, to achieve results that are clearly above average, if you are a Professional, one Startupper or if you drive a Micro or Small Business, you must have an effective marketing strategy. It ‘important that you have always been clear that customers buy when they are ready to buy, not necessarily when you’re ready to sell, which is why marketing can only be a long-term commitment. It has nothing just because you are skilled in selling (which is still a vital capacity today), if the customer is not ready to buy, you still may face problems. If your Marketing Strategy has a vision of long-term, still you allow users to your business to be with the right message in front of the right customer at the right time. 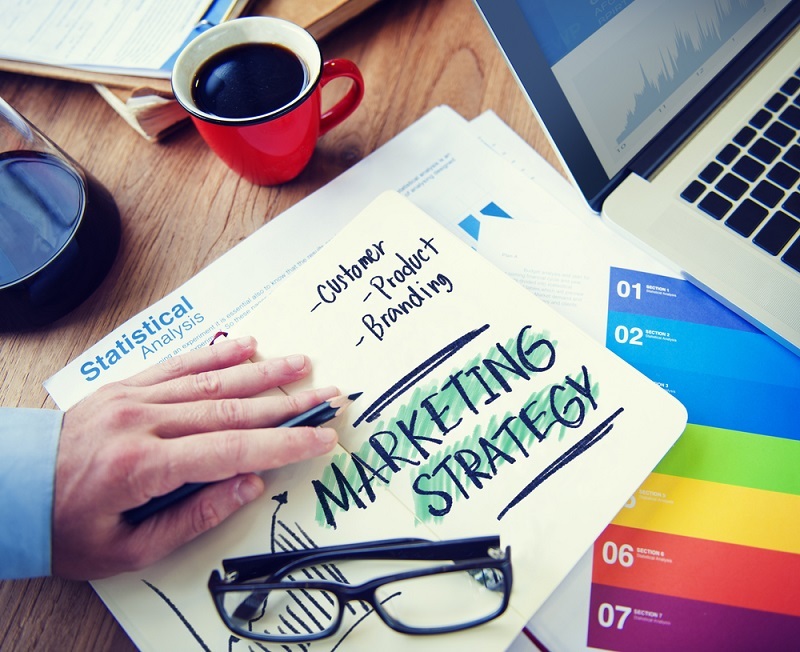 An effective marketing strategy must contemplate different methods of approach and communication to reach your potential customers and cannot be limited to the often unfounded expectations that the latest technology, web marketing or the latest online tools, are the best opportunities you have available. The world of start-ups, the professions, the micro and small enterprises is full of case histories of those who have committed serious mistakes chasing, at great cost, the chimera of the moment forgetting the fundamentals of the (good) marketing. Having a long-term vision in the Marketing Strategy means above all to understand that there is no magic pill that will transform your business, overnight, into a very successful business. The Marketing Strategy needs time … but it produces results! Failing a marketing campaign is not a final defeat. Let’s say, a typical campaign email marketing, can achieve a failure rate between 97 and 99%. Apparently, this failure rate seems unacceptable. The thing to consider in terms of marketing, however, is that a 2% success rate for an email marketing campaign, in fact, could be considered a triumph. In fact, if the economic returns resulting from the 2% proves interesting here is that we could say that the benefits of marketing are so strong that a 98% failure rate could still make your business grow. I’m deliberately radicalizing the concept …. but I get the idea? Now, if you were to repeat the same campaign, after some time, it is likely we would get back the same result, i.e. a positive response on the part of another 1-2% of the target group of potential customers. The topic to be considered now is: Why do not all customers have responded positively to the first campaign now? Good Marketing Strategy therefore, it should include the various test campaigns with different messages (it takes time …) in order to constantly improve the results of previous campaigns, until you find, without doubt, the most successful one. Not surprisingly, small companies the most successful are those who have a clear marketing strategy that grows continuously, with a long-term vision. The purpose of marketing is to create concrete opportunities for sale. The end of the marketing strategy is therefore to produce profiles and contacts qualified. No matter what your industry or your business because they are always revenues and profits that support the latter. Revenues come from what you sell and to sell (and know how to close a deal) you must have prospects (potential customers) possibly profiled, or even better, qualified: Potential customers, able to turn into customers. Therefore, the sole responsibility of the Marketing Strategy, I repeat, is to create concrete sales opportunities. Operate only to improve your image and that of your “brand”, proposing unclear messages, do it with discontinuities or even do advertising campaigns (also via Web) that are not able to drive your prospects to take action, you only it helps to make you lose your most precious resources: time and money. The “message” I want to communicate is able to motivate my prospect to take action? Why does my potential client should devote attention, stop what you’re doing, to “respond” to my message? As an incentive, benefit, it makes specific advantage in my message strong enough to convince the prospect to take action? In addition, you must always remember that the magic moment is: Now! Your proposal can not be indefinitely or for when the potential customer prefers. When from a prospect the opportunity to “respond” in a second time, in the vast majority of cases, he will accept to do so. Too bad, allowing him not to decide right away…. I’ll almost certainly be lost! The Marketing Strategy must therefore afford to build, just to create an effective marketing campaign, the right message, to be communicated to the right target at the right time. Sorry to say, but among the Professionals and the Micro and Small Business Marketing Strategy and Marketing Plans they are often non-existent or, if present, very confused and almost always inefficient. Yet they all have clear that, to be competitive, it would always be a minimum of effort to create a Marketing Strategy “outside the box” also understanding how the techniques and tools of marketing have evolved over time. The marketing plan should also aim to achieve a convincing response from the target customers whom it is addressed. To proceed in the right way in the development and construction of a strategy and a marketing plan effective, these four mistakes that you must avoid. Nothing could be further from reality in building a strategy and a good marketing plan. Reach as many people as possible, not necessarily will result in new contacts and potential clients. The key to a successful marketing strategy is to identify a very specific target and / or a specific niche market to offer them what they want or they need or what is the solution to their problem. It is therefore necessary to dedicate sufficient time to define your target audience to find out where that target and how to achieve it in the most effective way. Only after you have identified, found, captured and “converted” … that’s just the concept of “more is better” could also find a specific application. Even if you are communicating with a large pool of potential customers, never talk to the potential customer as if it were part of a group … one of many. Good Marketing Strategy must define those elements of the Communication that can make people feel the potential customer directly involved, as if you were talking directly and exclusively with him. Your communication must create the prospect that state of mind that makes him feels important to you. In the absence of a real Marketing Strategy that identifies the elements of differentiation and uniqueness to be leveraged , the too often lose focus marketing campaigns on their real goals, not allowing them to emphasize what potential customers want to hear. Big mistake! In result it is that you end up trying to convince potential customers to price, form or forgetting what impact, for example, things like the positive testimonials from other customers to your product, service, solution or achievement have no price. Essentially, without differentiation and uniqueness, you invest a lot and often unnecessarily to get a certain message or a certain image underestimating the much more rewarding benefit of a really special treat, unique and dedicated to the target audience. The “strong message” and the Communication arising from your Marketing Strategy must not only talk about yourself or your company, the “technical” characteristics of what you do or propose, or even how you do it … but first must make it clear to your potential customer how your product, service, solution or realization is so different or unique to fit him perfectly, thus fulfilling a wish or solving his needs, his needs or his problem. You must be very clear that nobody likes and nobody wants to be “commodity”. No coincidence that today, the successful marketing often passes from content creation and sharing in-training they provide and make you perceive a concrete value to the potential customer and facilitating the establishment of an optimal relationship with the same. Hence the exponential growth of Inbound Marketing of recent years. A Marketing Strategy is successful when it has the ability to lead your prospect to think that “cannot help but basically” what you propose, these are the benefits for him and that your professionalism / competence / experience guaranteeing. You’re making any of these mistakes? You clear what are your differentiators and uniqueness? You are communicating properly? You have a Marketing Strategy? What results are you getting? 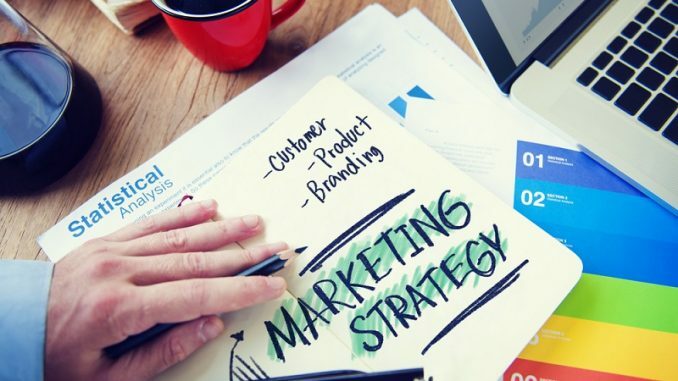 There are obviously many other mistakes that can be committed to building its Marketing Strategy and Communication but these four are certainly among the most common ones. They are so common that often in my consulting work, the mere fact of helping professionals, Start Up, Micro and Small Enterprises to create their effective Marketing Strategy that produces competitive advantage, able to make improve results and turnover in a very short time. The Success of your Business! Web Marketing for Professionals, and Small Business Start Up: How to get results?